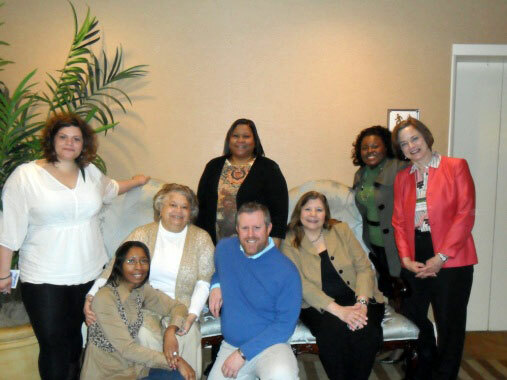 From left: Ariadne Casillas, Bridget Mangrum, Dr. Heritage Rae Mitchell, Mary Person, Adam Dreyfus, Dr. Debbie Rullman, LaQuisha Guest and Mary Wellman. We do not teach labels...We teach children. Changing the lives of individuals with autism by building collaborative relationships that promote acceptance, independence, self-determination, and life-long success. We believe all students have the capacity to learn. We believe all students are here to be educated and that education changes lives. We believe in empowering and equipping our students to be successful in the world. GCPS will develop and deliver a multi- modal (live and on-line) three tiered training plan that will increase knowledge, awareness, and skills for staff that interact with students with ASD across the division. 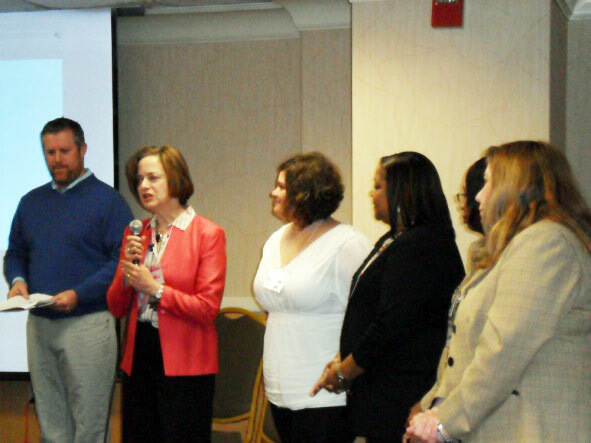 GCPS will develop and deliver a training and technical assistance plan to ensure the implementation of evidence-based strategies across grades and in all settings. GCPS will develop a school-to-school/ grade-to-grade transition process that will ensure the sending team shares behavior plans, tips, schedules, communication methods, and medical/eating issues with the receiving school. Additionally, the receiving team will have the opportunity to develop necessary rapport with the student. GCPS will develop and deliver a comprehensive evaluation process to ensure appropriate and early identification of students with autism.